The Venom Cannibal is an all-purpose wheel for downhill, racing, and freeriding. They grip hard and drift smoothly for race-proven performance at speed. 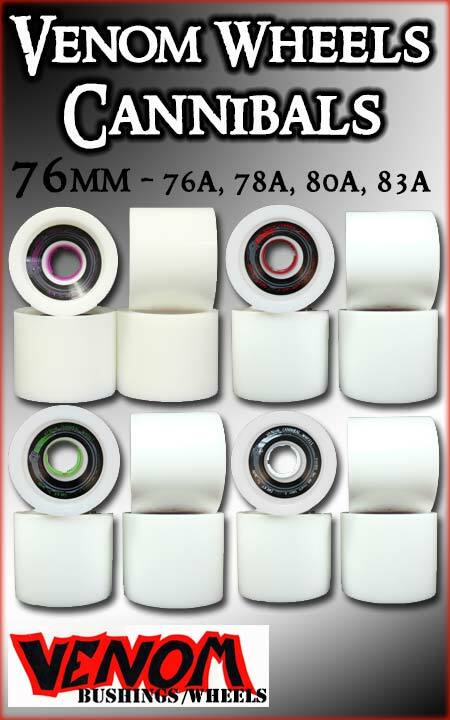 With a smooth-sliding and remarkably durable urethane compound, Cannibals are also excellent freeride wheels once they're broken in a bit. Sold in set of two wheels for mixing flexibility.